The Nigeria Labour Congress has declared January 8, 2019, a national day of protest over the delay in processing a new minimum wage for the country. 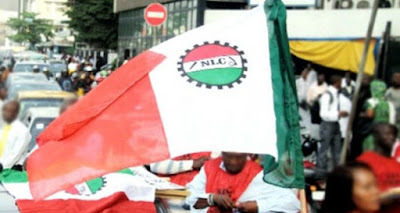 NLC leaders took the decision at its National Executive Council meeting, according to a statement by the union’s President, Ayuba Wabba, and General Secretary, Peter Ozo-Eson, on Friday. “The NEC-in-Session approved that the protests should hold in all state capitals and the Federal Capital Territory Abuja on January 8, 2019. The NEC mandates all industrial unions and state councils to fully mobilise workers and coordinate with other labour unions for this mother-of-all protest,” the statement read in part. The labour leaders are dissatisfied with the progress made since November 6, when the Tripartite Committee on Review of National Minimum Wage submitted a report to the President, recommending N30,000 as the new minimum wage. They expected that the Federal Government would have sent a bill on a new minimum wage to the National Assembly long before now. On Wednesday, President Muhammadu Buhari had said he would send a bill on the implementation of the new minimum wage to the National Assembly soon.